Sunnyvale Smile Care (Sunnyvale) - Book Appointment Online! 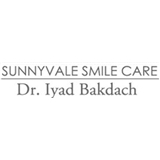 Welcome to the Sunnyvale Smile Care, the leading cosmetic, restorative, and periodontal dentist in Sunnyvale. Dr. Bakdach has the skills needed to provide a wide variety of procedures such as dental implants, zoom!, or porcelain veneers. If you are searching for any of these in Sunnyvale or the surrounding areas of Cupertino and Mountain View, there is no better choice than Dr. Bakdach. He will carefully analyze your situation to find the procedure that best fits your needs. We are excited about the opportunity to serve you, so call our office today for a consultation. He and his staff made addressing my concern first priority. I was very examined very patiently even though I was the last patient of the day. I am very impressed and I will be coming back.